Diets particularly faddy Diets come and go…Have you ever wondered why? Have you ever wondered why one-minute your favourite celeb supports this product and the next minute that product…It is called laughing all the way to the bank and it isn’t YOURS! As you know I advocate eating healthy balanced meals I don’t believe in cutting out food groups like meat, most fruits or pasta/rice/potatoes…I do believe we should avoid or eat little highly processed foods, food with added sugars, we should choose good quality cooking oils, avoid excessive intake of high mercury fish like tuna…Alcohol enjoy just not in excess. For me, that is easy to follow and coupled with the 16/8 intermittent fasting and exercise I am seeing results. Before you start a new fad eating plan, ask yourself, “Can I eat this way for the rest of my life?” If your answer is no, then it may be the plan is not for you. Following rigid menus can be hard, overwhelming, costly and simply not necessary. Regular exercise is essential for good health and weight management. Your goal should be to discover physical activities you enjoy and strive to complete those for 30-60 minutes most days of the week. The moral to the story is if you want to maintain a healthy weight, build muscle and lose fat — all while enjoying life to its fullest — eat smart and get moving. My recipe for homemade Thai Tom Yum Goon. Stage 1 is the lightest stage of NRM sleep. Often explained by the presence of slow eye movements, this drowsy sleep stage can be easily disrupted causing awakenings or arousal. Muscle tone throughout the body relaxes and brain wave activity begins to slow from that of being awake. Occasionally people may experience hypnic jerks or abrupt muscle spasms and may even experience a sensation of falling while drifting in and out of Stage 1. Stage 2 is the first actual stage of defined NRM sleep. Awakenings or arousal do not occur as easily as in Stage 1 sleep and the slow-moving eye rolls discontinue. Brain waves continue to slow with specific bursts of rapid activity known as sleep spindles intermixed with sleep structures known as K complexes. Both sleep spindles and K complexes are thought to serve as protection for the brain from awakening from sleep. Body temperature begins to decrease and heart rate begins to slow down. Stage 3 is known as deep NRM sleep. The most restorative stage of sleep, stage 3 consists of delta waves or slow waves. Awakenings or arousal are rare and often it is difficult to awaken someone in Stage 3 sleep. Sleepwalking, sleep talking and night terrors can occur during the deepest stage of sleep. REM sleep, also known as rapid eye movement, is most commonly known as the dreaming stage. Eye movements are rapid, moving from side to side and brain waves are more active than in Stages 2 & 3 of sleep. Awakenings and arousal can occur more easily in REM; being woken during a REM period can leave one feeling groggy or overly sleepy. This entry was posted in Healthy Eating, No faddy diets just healthy food, No more diets!, No nasties make from scratch, No to food waste, No to preservatives and colourings, Uncategorized and tagged Durian, Grapow Moo, Recipes, Tom Yum Goong on March 26, 2019 by CarolCooks2. Why is it called treacle tart when golden syrup is used …According to an Original Receipt from ‘Newcastle Courant‘ – Friday 01 July 1887. This entry was posted in Cook from scratch with Sally and Carol, No faddy diets just healthy food, No to food waste, Retired No One Told Me! 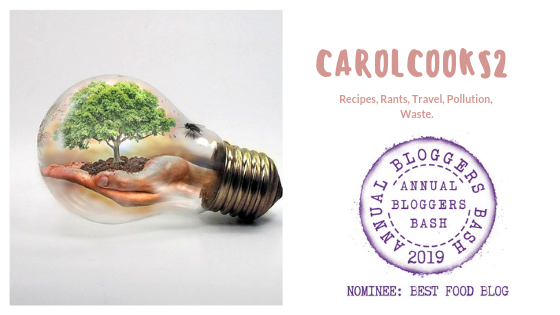 Weekly roundup!, Smorgasbord Weekly Roundup, Uncategorized, War on Waste, Waste not want not and tagged chicken pepper curry, Eat Smart, No more diets!, Recipes, Treacle tart on March 24, 2019 by CarolCooks2. I am loving this new series I hope you are as well… Lots of lovely new recipes and Health advice on how to get the most from the food you eat for a healthy body…Enjoy! In this series we look at cooking and your diet from a different perspective. Usually we emphasize the health benefits of food and how they can be incorporated into your diet. But, what happens if you do NOT include them in your diet. We wanted to share with you what happens if your body is deprived of individual nutrients over an extended period of time. Thankfully most of us eat reasonably well, with plenty of variety, but if you take a look at a week’s worth of meals, do you find that you are sticking to a handful of foods, all the time. This entry was posted in Carol Cooks2, Carol's Cookery Column at Smorgasbord Magazine, Cook from scratch with Sally and Carol, No faddy diets just healthy food, No to preservatives and colourings, Recipes, Uncategorized, Vitamin B2 and tagged Carol Cooks 2, Cook from scratch with Sally and Carol, cooked from scratch with Sally and Carol, No fads just healthy eating, Vitamin B2 on March 20, 2019 by CarolCooks2. And remember…Losing weight is not a sprint, it is a marathon and your mental and emotional attitude towards the project is a key factor in your successful weight loss. Honey…Nectar of the Gods and so good for us…Sally will tell you the why and I will provide the recipes…Enjoy! I know it just had to happen, didn’t it? We just need to eat sensible, normal healthy foods and a balanced diet…Most of the time. It also offers an explanation as to what causes any changes and how you can remedy it with links to other sites for further info. I am finding this really interesting as I am gradually seeing a pattern forming and am realising which factors are influencing my sleep for example what I am doing prior to sleep or what I have been drinking as I don’t eat after 8pm. It also tells me my heart rate …An explanation can also be found on heart rates. This entry was posted in Carol Cooks2, Carol's Cookery Column at Smorgasbord Magazine, Cooking from scratch with Sally and Carol, health and honey, Healthy Eating, Honey, No faddy diets just healthy food, Sally and Carol Health and recipes, Smartwatch, Uncategorized and tagged Carol Taylor Food Column, Cook from scratch with Sally and Carol, Healthy Eating, Healthy living, Honey, No more diets!, The health benefits of honey on March 19, 2019 by CarolCooks2. When I stated what I had cut out last week it was foods I believed were having a negative impact on MY body…It is foods which have empty calories, do not add anything healthy to MY diet…That’s it! Nothing worthwhile in life is easy…Think about writing a novel….That bit is easy but what comes after …editing and rewrites etc BUT we do it…Healthy eating and or weight loss is just the same so… Let’s go and do it! In this series, we look at cooking and your diet from a different perspective. Usually, we emphasize the health benefits of food and how they can be incorporated into your diet. But, what happens if you do NOT include them in your diet. This entry was posted in Carol Cooks2, Carol's Cookery Column at Smorgasbord Magazine, Cook from scratch with Sally and Carol, Healthy Eating, No faddy diets just healthy food, Sleep Patterns, Smartwatch, Uncategorized and tagged Cooking from scratch, Eat Smart, Fat Accumalor chart, Healthy Eating, Healthy living, No more diets!, Sleep Patterns, Smartwatch on March 12, 2019 by CarolCooks2. For quite a while now I have been intermittent fasting and didn’t know it… Last week I discussed the Keto diet as my son is following this eating plan… I listened to him and some things I agree with and Keto does recommend that you do take part in intermittent fasting. Unless medically advised our diet should be balanced and not loaded one way or another with certain food groups. What is it? Short term fasts which mean you are consuming fewer calories and that is it! Me…I follow the third option...I don’t eat after 7 or 8pm at night and don’t eat before 10-11 the next day…It is called the 16/8 method…For me this is easy…What I hear you say what’s easy about that??? Sunny evenings also are conducive to a sundowner or three they creep up on you, don’t they? 1. It can be done. How do I get through my 16 plus hours without eating??? You can drink water, coffee, tea or other non-alcoholic drink any beverage which is under 50 calories..a splash of milk is fine in your tea or coffee. I then get Aston up… my grandson as he leaves for school just after 7 am…I get his breakfast, iron his school shirt then when I have seen Aston of to school I have my pot of green tea while I check my e-mails and answer any comments on my blog. I also start writing as I am doing now @ 9.47 am…10 am I feed my sourdough and today I am having Grapow Moo with an egg which I will cook once I have fed my sourdough…It will then be 10.30 ish maybe 11 am…Am I starving…No! During the afternoon I will have another pot of green tea and then probably a Thai green Curry tonight. Then it is evening, Green tea and bed at some point…As you all know if we get engrossed in our writing/reading the time just flies by. Whichever one of the fasts you choose to follow you can drink which I didn’t know until I did my research I thought fasting meant no food or drink…Especially if you follow these short fasts. Common Sense should have told me that we need to keep our bodies hydrated…There are so many lovely teas we can drink to help us stay hydrated while we fast. Belly fat will reduce, you will lose weight and inches. I feel so much better my energy levels have increased and just overall I feel better. Fasting is not starving yourself it is just choosing when you eat. This entry was posted in Carol Cooks2, Cook from scratch, Healthy Eating, Intermittent Fasting, No faddy diets just healthy food, Recipes,Lifestyle, Uncategorized and tagged Added sugars, Belly Fat, Candida Albicans, Green Tea, Healthy Eating, Intermittent Fasting on March 5, 2019 by CarolCooks2. How is your healthy eating going??? Have you any tips to share? Salads… If any of you buy ready prepared salads I read there was yet another recall…Not the first I will add over the years and there have been fatalities in the past… it can take a couple of weeks for greens to get from the farm to your plate when they come in the form of bagged lettuce, and nutrition is lost during that time. Another thing that adds to the degradation of vitamins and minerals in bagged salads is the washing they go through before being bagged. Then there is the water issue…triple washed? If it’s in [California’s] Central Valley, then it most likely becomes the single most important environmental consideration, and the triple-washed thing becomes very difficult to defend.” 90% of U.S. lettuce is produced in California and Arizona. So really, what’s the point of buying supposedly clean lettuce that isn’t really clean at all? One of our conversations was the Keto Diet which he is currently following properly I may add he has done his research and is tracking his carbs and fibre to make sure he is getting the correct amount. Do you follow the Keto diet? What are your thoughts? How am I losing weight and inches?? By cutting out alcohol, processed foods, no more biscuits, swapped English tea for green tea which avoids the need for a biscuit to dunk, changed to brown/wild rice and eat rice once a day instead of twice a day and substituting cauliflower rice or zucchini pasta, eating more fish which cuts down on the red meat. That’s about it…Update it is working my clothes are looser and a great tip my son gave me was instead of using a tape measure use a ball of string and hang them up every time you measure yourself and you will soon have a decreasing line of strings showing your inch loss….I thought that was a great idea! 2 eggs beaten or you can just drop the egg in whole and the heat of the soup will cook the egg. Heat the oil over medium heat in a large pan. Add tomatoes and salt, cover and cook until soft about 4-6 minutes. Stir occasionally to prevent sticking or burning. Add mince and move around to break up any big clumps. That’s all from me for this week I hope you have enjoyed this post…How is your healthy eating going ??? Thank you for reading this post I am happy that you joined me today for our little chat on how we can improve the health of both our body and our purse/wallet. This entry was posted in CarolCooks2, Cauliflower rice, Cook from scratch, Egg Drop Soup, Healthy Eating, No faddy diets just healthy food, No more diets!, Uncategorized and tagged Cauliflower rice, Cook from scratch, Cooking from scratch, Egg Drop Soup, Healthy Eating, Keto diet, No more diets!, Recipes on February 26, 2019 by CarolCooks2.